A) The purpose of this Charitable Foundation is to operate exclusively for charitable and educational purposes including the promotion and support of charitable, cultural, social, educational, and recreational programs, agencies and institutions in Miami Township (including school districts). SECTION 1 – GENERAL POWERS. In accordance with the Agreement creating a Named Committee Advised Endowment Fund with The Dayton Foundation, Inc., the Community Foundation of Miami Township Board of Trustees (hereby referred to as Trustees or Board) shall govern the operation of Community Foundation of Miami Township (hereafter referred to as CFMT) and shall make recommendations for distribution of net income and gifts of the CFMT to The Dayton Foundation (hereafter referred to as TDF). SECTION 2 – TRUSTEES. There shall be no more than fifteen (15) Trustees of the Foundation. 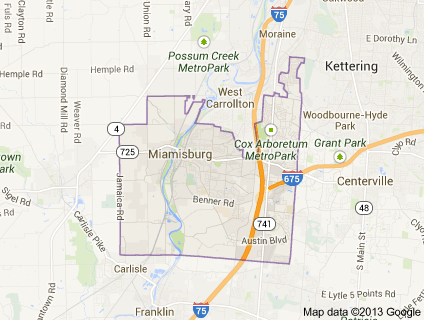 Membership shall be restricted to individuals residing or employed within the boundaries of the unincorporated portion of Miami Township, Montgomery County, Ohio at the time of the appointment. SECTION 3 – TERMS OF OFFICE. The Trustees shall appoint successor Trustees as deemed necessary for a term of three (3) years. Any Trustee is eligible for reappointment. Terms of office shall begin on January 1. SECTION 4 – RESIGNATION AND REMOVAL OF TRUSTEES. A Trustee may resign at any time by instrument in writing filed with the Secretary or any officer of CFMT other than himself / herself. A trustee may be removed, with or without cause, by the affirmative vote of two-thirds of current Trustees. A written notice to all Trustees is required 30 days prior to the vote. Non-attendance at three (3) consecutive meetings or five (5) non-consecutive meetings per year, without advanced notification to the Secretary, will result in a vote of removal from service as a Trustee. Whenever vacancies occur among the Trustees, the remaining Trustees of CFMT shall constitute the Trustees of CFMT until such vacancy is filled. The remaining Trustees may by majority vote and / or appoint a Trustee to fill such vacancy for the unexpired term. Notice will be given to all Trustees, in writing, prior to the vote. SECTION 5 – VOTING, QUORUM AND ADJOURNMENTS. The presence of a majority of the current Trustees of CFMT shall constitute a quorum. No business requiring a vote shall be conducted unless a quorum is present. Except where these regulations otherwise require, a majority of the Trustees present at a meeting may take action. Each Trustee shall have one (1) vote. Trustees may participate in a meeting of the Board or any Committee of CFMT appointed by the Board by means of conference telephone or other communication equipment if all participating persons agree and can hear each other. Participation in a meeting by this means shall constitute presence at such meeting. However, such action shall be documented and ratified in writing. Proxy votes may be submitted by letter, facsimile, E-mail, telephone, or in person. SECTION 6 – ANNUAL MEETING. The annual meeting of the Board of Trustees shall be held at such time and at such place as may be designated by the Board of Trustees. The annual meeting shall be held for the purpose of appointing Trustees, electing officers and transacting any other business as required. The Secretary shall give each Trustee not less than thirty (30)days written notice of the time and place of the annual meeting. otherwise provided in these regulations, notice of each annual or regular meeting of Trustees shall be given to each Trustee by letter, E-mail, facsimile, telephone, or in person at least thirty (30) days prior to such meeting. SECTION 8 – SPECIAL MEETINGS. Special meetings of the Trustees shall be held by request of the President or any two (2) Trustees. Notice of any such meeting shall be given to each Trustee by letter, E-mail, facsimile, or in person not less than two (2) days prior to such meeting, which notice must contain the Agenda. The agenda may be modified by a vote of a majority of the Trustees present. SECTION 10 – COMPENSATION. The Trustees shall not receive salaries, fees or compensation for their service as Trustees or their attendance at any regular, special, annual or committee meeting of Trustees. SECTION 11 – CONFLICT OF INTEREST. A trustee having a conflict of interest or conflict of responsibility in any matter involving CFMT and any other business entity or person, shall refrain from voting on such a matter. No Trustee shall use his or her position as a Trustee of CFMT for his or her own direct or indirect financial gain. Issues of conflict shall be decided by a majority of Trustees present at the meeting. SECTION 1 – EXECUTIVE COMMITTEE. This committee shall consist of all officers of the Board of Trustees and shall possess and exercise the authority of the Board of Trustees in matters that require immediate action and / or do not involve major questions of policy or funding. It is the coordinating committee for the Board, mapping out how the business should be conducted, setting agendas and organizing activities of other committees. The Secretary shall keep full records and accounts of the Executive Committee proceedings and transactions. A majority of the Executive Committee shall constitute a quorum. All actions and recommendations taken by the Executive Committee shall be reported for review and approval to the Board of Trustees at its next regularly scheduled meeting after such action and recommendations. SECTION 2 – STANDING COMMITTEES. There shall be three (3) standing committees of CFMT. These committees shall be populated by at least two Board members with the President serving in an ex-officio capacity. The President shall appoint a Trustee as the Chairperson for each standing committee. 1. Fund Raising. This committee shall be in charge of raising funds for the Foundation and shall make recommendations to the Board of Trustees. 2. Grant. This committee shall make recommendations to the Board of Trustees for the distribution of income and principal assets of the Foundation. Nominating. This committee identifies, screens and recommends prospective Trustees, with their knowledge and permission, to the Board of Trustees. Members of the committee may also assist in the recruitment and orientation of Trustees. This committee also screens and recommends, with their knowledge and permission, current Trustees for election as officers. This committee is chaired by the Vice-President/President Elect. SECTION 3 – GENERAL. The Board of Trustees may appoint three or more persons, including at least one member of the Board of Trustees, to constitute one or more committees of CFMT, other than the three Standing Committees. The resolution establishing each committee shall name the committee and specify its powers and authority. Each committee shall serve at the pleasure of the Board of Trustees and shall be subject to the control and direction of the Board of Trustees. Any committee shall act by a majority of its members at a meeting. Minutes shall be maintained and a copy forwarded to the secretary of CFMT and TDF. Financial records shall be maintained and a copy forwarded to the secretary of CFMT and TDF. Business requiring a vote shall not be conducted without the presence of at least one Trustee of CFMT being present. SECTION 1 – OFFICERS. The officers of the Board of Trustees shall be the President, Vice-President, Secretary, Treasurer, and other officers as may be deemed necessary by the Board. SECTION 2 – ELECTION OF OFFICERS. The officers of CFMT shall be elected by the Board of Trustees at the annual meeting (see Article II, Section 6). Officers may stand for reelection. Trustees may remove any officer, with or without cause, by an affirmative vote of two-thirds of current Trustees. A written notice to all Trustees is required 30 days prior to the vote. SECTION 1 – PRESIDENT. The President shall preside at all meetings of the Board of Trustees and shall sign any documents requiring the President’s signature and shall have other duties as may be required of the President by the Board of Trustees. The President or his or her designee shall be a member ex-officio of all committees. SECTION 2 – VICE-PRESIDENT. The Vice-President shall have the powers of the President during the absence or incapacity of the President or when there is a vacancy in the office of President and shall have other such powers and duties as may be required by the Trustees. SECTION 3 – SECRETARY. The Secretary shall keep minutes of all proceedings of the Board of Trustees; make proper records of the same and furnish copies of such minutes to the Board of Trustees prior to the next meeting, sign all documents of CFMT requiring such signatures; give notice of meetings to the Trustees; keep records and archives as may be required by the Board of Trustees and perform such other and further duties as may be required by the Board of Trustees or TDF. NOTE: for electronic data transfer, an email originating from the Secretary is deemed to have been signed by the Secretary. SECTION 4 – TREASURER. The Treasurer shall serve as liaison to TDF and shall receive, record and transmit to TDF all money, bills, notes, deeds, insurance policies or other property to be held for CFMT. The Treasurer shall establish and maintain a petty cash fund for the purposes of paying incidental expenses related to the operation of CFMT as agreed in the Agreement with TDF. The Treasurer shall maintain complete records of all financial transactions and shall perform all duties incidental to the office of Treasurer. SECTION 1 – BUDGET. At such time it is deemed necessary, the Trustees of CFMT shall prepare and approve an operating budget each year. The budget is to address anticipated income and expenses for that fiscal year and must be approved by a majority vote of the Trustees of CFMT at a regular or annual meeting. This budget must be certified to the President of TDF for approval. The Treasurer is authorized to request expenditures, in writing against that budget after approval by the Trustees of CFMT. A request for expenditures exceeding $25,000.00 must be countersigned by the President of CFMT. If and when budgets have been prepared, any unbudgeted expenditures may be requested upon certification by the Treasurer and Secretary that such expenditures have been formally approved by a majority of CFMT Trustees. SECTION 2 – FUND RAISING EXPENSES. Fund raising expenses shall not exceed $10,000.00 per year or twenty-five (25) percent of receipts, whichever is higher. SECTION 3 – PETTY CASH FUND. The petty cash Fund shall not exceed $500.00 and shall be under the strict control of the Treasurer as outlined in Article V, Section 4. This Fund may be replenished upon submission of documentation acceptable to the President of TDF. TDF shall indemnify the Board members, officers and committee members against civil and criminal penalties to the same extent as provided in Paragraph XI of the Resolution and Declaration of Trust creating TDF, as it may be amended. All questions of procedure, order of business or other matters not covered by these Bylaws but deemed necessary to maintain order, shall be decided according to Robert’s Rules of Order, newly revised. The Bylaws may be amended or altered at any meeting at which a quorum of the Trustees is present and with written approval of the President of TDF. The proposed changes and reasons must be circulated to all Trustees not less than thirty (30) days prior to such meeting. An affirmative vote of two-thirds of current Trustees is necessary to change the Bylaws.